Although they are not the only candidates for dental implants, Herndon residents are discovering that they have a well-qualified doctor in their area to perform the procedure. With more than a million implants being done every year in the U.S. alone, implant dentistry has become as trusted a procedure as fillings. Dr. Ansari in Potomac Falls is a top implant dentist because of her vast experience, technical prowess and gentle demeanor. Implant dentistry deals with the root of the problem—literally. The Oaks, Pines, Maples and Hickories of Virginia and the surrounding area can withstand incredibly powerful winds—unless their roots have become unhealthy. The same is true of teeth. If the root is weakened or damaged, the tooth it supports cannot survive for long. 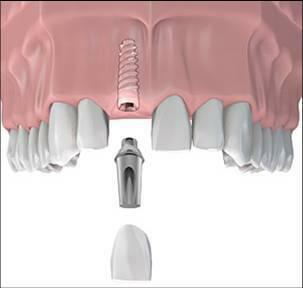 Through dental implants, though, Herndon area dentists can replace that root. When it comes to having implants designed and placed, you want a dentist in Potomac Falls with a proven track record for designing and giving patients beautiful smiles—and one who can help you with other dental needs, like sedation dentistry, bridges, crowns, sleep apnea, and snoring issues. You will not find a more qualified and skilled practitioner than Dr. Ansari. For the best in dental implants, Herndon residents should visit Lowes Island Dentistry in Potomac Falls. Dr. Ansari provides quality, compassionate care for dental implants for Herndon, Potomac Falls, Sterling, Leesburg, Ashburn and Great Falls, VA.